The location was excellent. There were many restaurants and stores nearby and we were fairly close (10-15 minutes) walking distance to major train stations. The apartment was large, modern, clean (except for a dirty microwave/convection oven) and nicely decorated. The washer and dryer on site was a great convenience. The extra half bathroom was a nice amenity. To collect the keys it's easy but it costs you an extra trip in the taxi or Uber if you don't have your own transportation because you have to first pick up the keys at a different location then where you are going, then take another taxi to go to the property. Everything was great: the administration was friendly and very helpful, the apartments were big and comfortable; also, the location is great. The location was excellent. Apartment spacious and extremely clean. The apartment was palatial, high ceilings, large rooms effective heating, well equipped, comfy beds and right at the heart of the city close to supermarket and restaurants/bars. The apartment that we had booked turned out to have a burst water pipe when we arrived but they organised an alternative apartment nearby within 30 minutes. On the day of arrival we met our cute hostess at the office of Stayci Serviced Apartments. She shared with us useful information regarding apartment, location, transport and landmarks. The distance between the office and apartment was about 1 km. А spacious penthouse, high ceiling, with a small terrace facing the patio, comfortable beds, top location - 20 meters from "Grote markt". 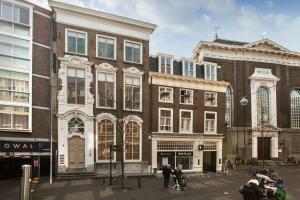 Our stay was related to many meetings with kind Dutch people, positive emotions, and long-lasting city tours. I recommend you this place. 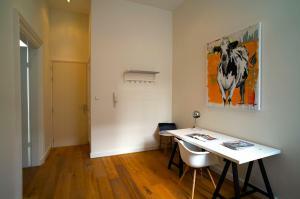 Lock in a great price for Stayci Serviced Apartments Luther Deluxe – rated 8.9 by recent guests! 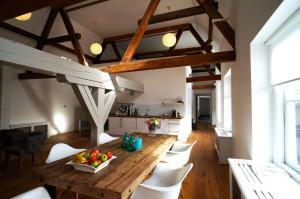 Stayci Apartments Luther Deluxe is a self-catering accommodations located in Den Haag. Free WiFi access is available. 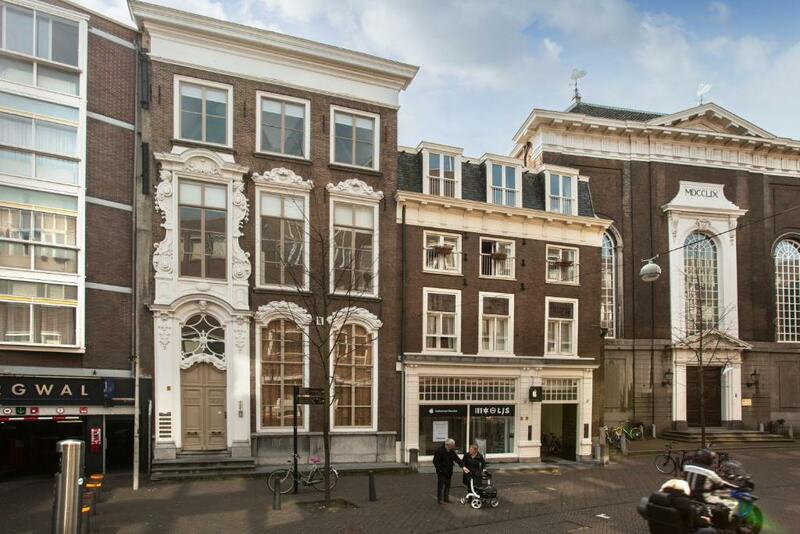 The property is 1.7 mi from Madurodam and 1,950 feet from Binnenhof. 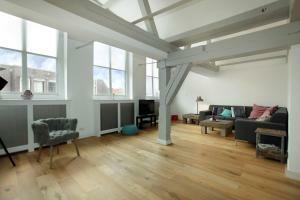 The apartment will provide you with a flat-screen TV and a seating area. There is a full kitchen with a dishwasher and a microwave. Featuring a shower, private bathroom also comes with a bath and a hairdryer. 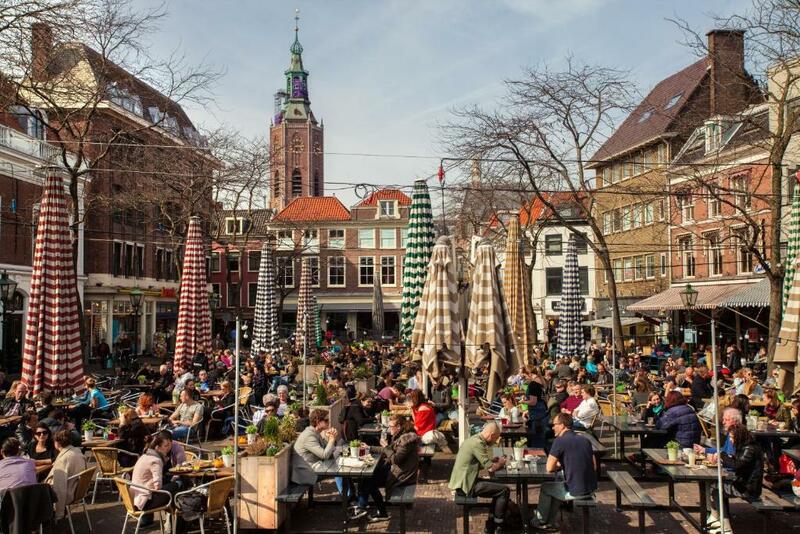 If you feel like visiting the surroundings, check out The Hague Central Station (0.7 mi) and Theater aan het Spui (1,650 feet). Schiphol Airport is located 25 mi from the property. 뀐 Located in the real heart of The Hague, this property has an excellent location score of 9.3! 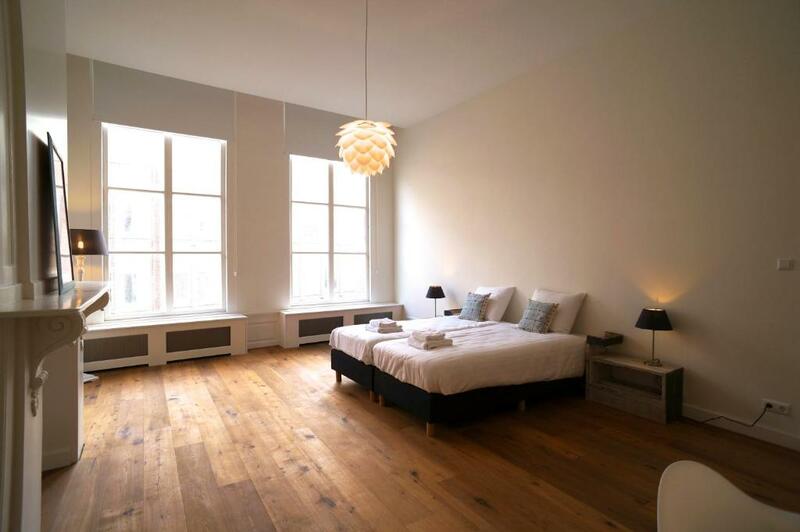 When would you like to stay at Stayci Serviced Apartments Luther Deluxe? 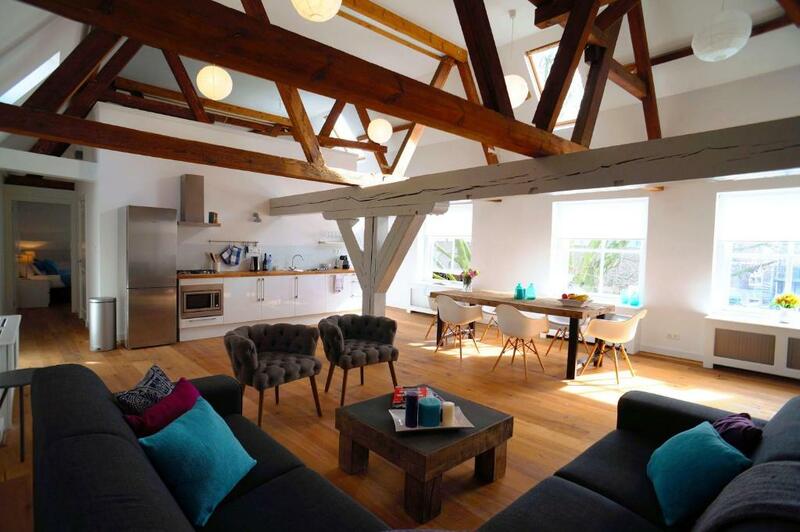 This apartment features a electric kettle, toaster and tumble dryer. This apartment has a sofa, electric kettle and seating area. This apartment features a tea/coffee maker, dishwasher and seating area. House Rules Stayci Serviced Apartments Luther Deluxe takes special requests – add in the next step! Stayci Serviced Apartments Luther Deluxe accepts these cards and reserves the right to temporarily hold an amount prior to arrival. Loud street noise from late night drinkers. The appartement is not noise proof. The windows need to be taken care of, so that outside noise will not prevent someone from sleeping during the night. The mattress in the downstairs bedroom needs prompt replacing; it really was horrible. The apartment was short on major supplies--toilet paper, dishwasher detergent tablets, shampoo, etc. We were there for six nights and there weren't enough supplies to cover that time period. Also, there was no soap was provided in either rest room for hand washing. It was frustrating not having a place to dispose of our trash during our visit. We asked about it (in person) and via e-mail but received no response. Distance from key pick up to apartment was too far with luggage. Would have prefferd a double bed. Light fittings a bit on the cheap side. Because of its central location it was noisy, revellers, bin trucks, but it didnt bother us too much. Charging people arriving after 8 pm extra for the keys is cheeky and a bit of a racket in my opinion. We got left off this charge due to the inconvenience we endured when we arrived but it is something I have never encountered anywhere else. Apparently the guy that met us had 2 more clients to see that night (don't know if he had more before us!) so the company was making a lot of extra cash from people just to give them the apartment keys! Difficult to close windows in living room (not that we needed to for us). 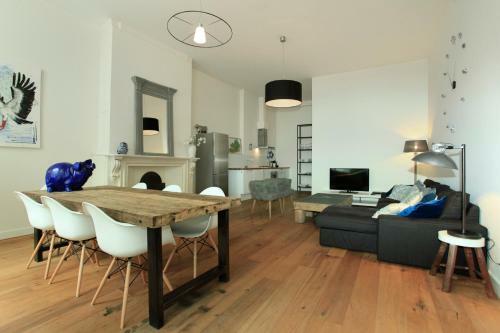 Large comfortable apartment in central area. Good location. Very nice apartment. Big space. I would have like to have known it was on the third floor without an elevator. It was really unique and beautiful.